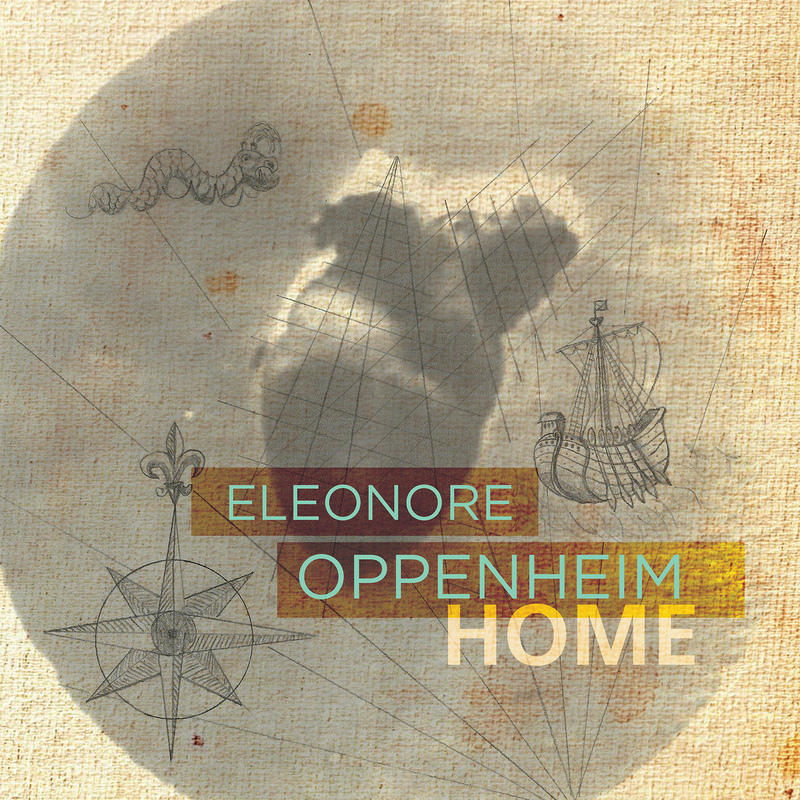 Home, the debut solo album from bassist Eleonore Oppenheim, is a musical core sample in which each track represents a different approach to the double bass as a modern solo instrument, and to the ways in which it can interact with electronic media. By turns glitchy and pure, gritty and shimmering, Home releases the bass from its traditional obligations and takes the listener on a surprising, unfettered journey through several strata of sound which explore the breadth of the instrument’s emotional and physical range. This album is part of a years-long collaborative commissioning project that Oppenheim embarked on in 2006, that includes works by some of today’s most innovative and original early- to mid-career composers. Not beholden to any one style, all of the pieces draw from a variety of influences, from noise rock to jazz and synth pop. Several of the pieces also incorporate Oppenheim’s unadorned, folky voice, which blends and dialogues with the bass, acting both as another texture and as an offshoot of the instrument. “Quietly virtuosic” (Alan Kozinn, the New York Times) double bassist and electric bassist Eleonore Oppenheim has a reputation as both a valued ensemble player and an engaging soloist. Her “…subtle expressivity” and “…particular eloquence” (Joshua Kosman, the San Francisco Chronicle) have made her a worthy collaborator for composers of her generation, and through these relationships she has built a rich repertoire of solo pieces. Eleonore has performed and recorded with a variety of different artists and groups, among them the Philip Glass Ensemble, Tyondai Braxton, Bang on a Can, Wordless Music Orchestra, Meredith Monk, My Brightest Diamond, Signal Ensemble, Steve Reich, Jonny Greenwood, and the “All-star, all-female quintet” (Time Out New York) Victoire, of which she is a member.